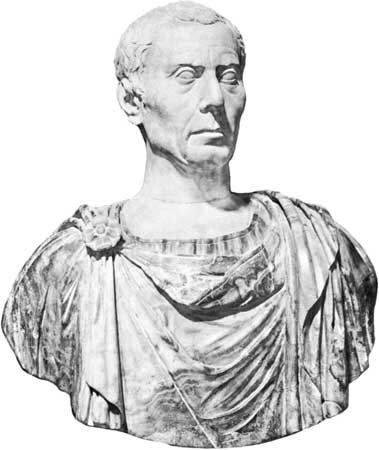 On the Ides of March (or March 15), 44 B.C., Julius Caesar was assassinated, at the foot of a statue of Pompey where the Senate was meeting. 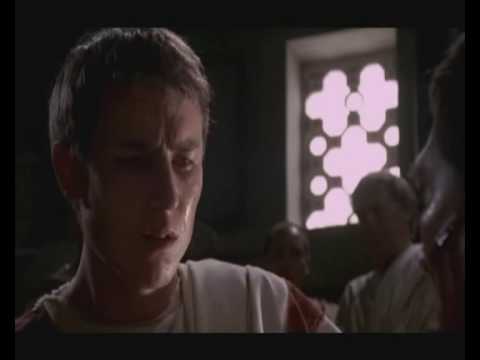 Because of the assassination of Julius Caesar and the soothsayer's exchange about it with Julius Caesar, in Shakespeare's Julius Caesar tragedy, the Ides of March now signifies a fateful day. Before the assassination of Julius Caesar, the Ides of March was simply a division of the calendar based on the phases of the moon. In some months, the Ides is on the 15th, and in others, it is the 13th. [See Roman Calendar.] Additionally, March's Ides marked the beginning of the consular year, since the two annually elected Roman consuls took office on the Ides from c. 220 B.C. to 153, when they began to take office on the Kalends of January (what we call New Year's Day). 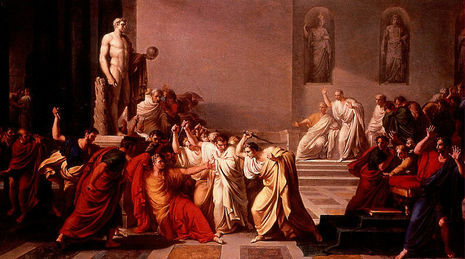 The assassination of Julius Caesar was the result of a conspiracy by forty Roman senators, self styled the Liberatores, whom led by Gaius Cassius Longinus and Marcus Junius Brutus stabbed Julius Caesar to death in the Theatre of Pompey on the Ides of March (March 15) 44 BC. Caesar was the dictator of the Roman Republic at the time having recently been declared dictator perpetuo by the Senate. This declaration had resulted in several senators fearing that Caesar's ambition was to overthrow the Senate in favour of a tyranny. The ramifications of the assassination led to the Liberators' civil war, the dissolution of the Republic which was replaced by the Roman Empire, and the ascendancy of Caesar's adopted heir Octavian to the position of emperor.